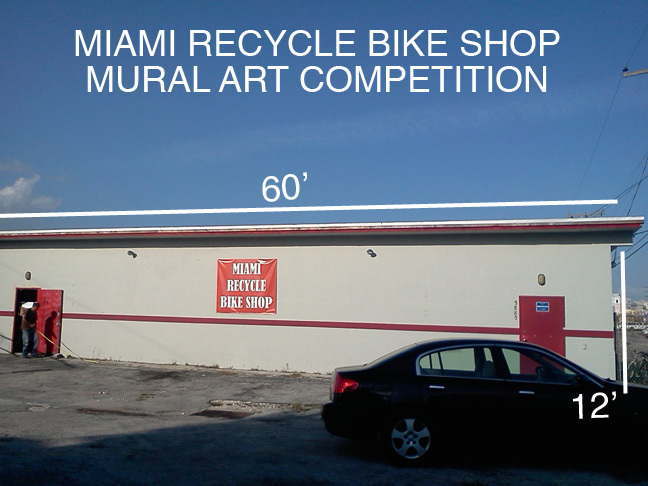 The Miami Recycle Bike Shop located on 5885 Commerce Lane in South Miami is having a "Mural Art Competition". The contest is open to to any individual, school or group/organization that would like to compete in creating a mural for the front of their bicycle shop. The theme should be focused on cycling for pleasure and/or commuting and the store name must be incorporated into the mural. 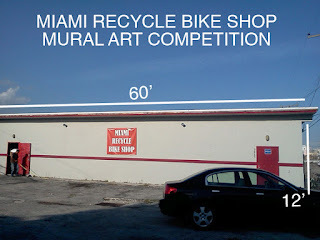 Submissions should be emailed to southmiamirecyclebikeshop@yahoo.com and must be received by March 30th, 2012. Please put “Mural Art Competition” in the subject line when emailing your submission. A $500 cash award will be given to the winning mural design. Submissions will be reviewed by a panel and the winning mural artist(s) will be notified by April 15th, 2012. If you have any questions contact Andres at (305) 495-5232.